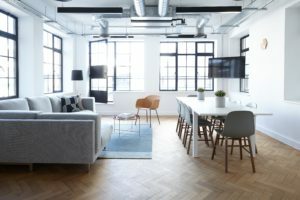 The design trend currently reinventing the workplace and blurring the lines between work and home now has a name: Resimercial design. 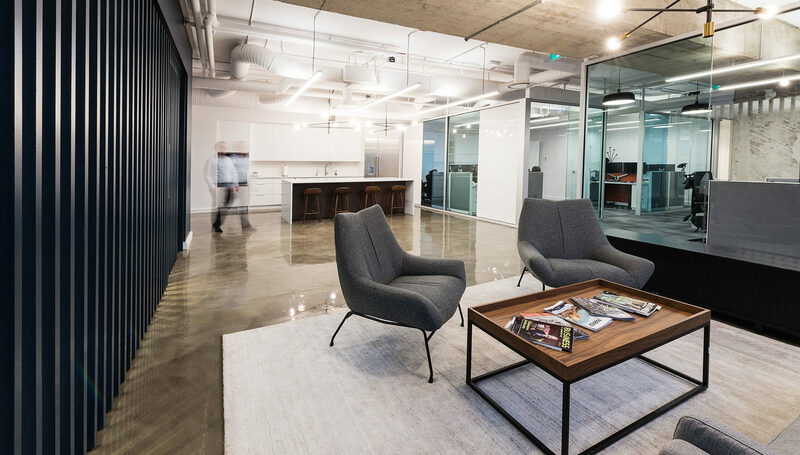 Across the western world, with the growing millennial workforce, office design is trending toward comfortable, homey spaces rather than cold, commercial ones. Today, business is all about authenticity and connection, which begins with corporate culture. Traditionally, socializing in the workplace has been discouraged. Managers want their teams to be productive and socializing works against that, right? Wrong. By harnessing socialization and camaraderie at work instead of writing up employees for fraternizing, employees build strong, meaningful relationships that encourage teamwork and collaboration. Not only that, but camaraderie in the office builds both trust and loyalty. The best way to promote the right kind of camaraderie and socialization is through collaborative spaces that invite employees to engage with each other. But when it comes to collaborative spaces in the office, it’s all about execution and balance is everything. As much as employees need pubic spaces to work together, they need private spaces to focus and process as well as to return to after collaboration; which is why an ecosystem approach that offers needs-based open and enclosed spaces work best for promoting collaboration. But camaraderie isn’t just about collaboration and team work, it’s also about fun. Companies that are continually dubbed “the best to work for” are making fun a part of the culture. 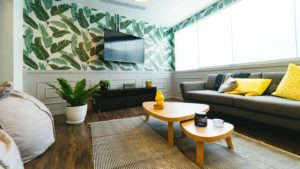 Integrating fun into office design is as simple as creating break rooms where employees can relax and unwind like they do at home: comfy couches with coffee and side tables; TVs, video, or arcade games; and foosball, ping pong, or pool tables. But it doesn’t have to be extravagant for staff to want to hang out there, it just has to be inviting. From aesthetics to amenities, resimercial office design must include a pleasurable element – a little taste of the good things in life. Today’s employees are attracted to an office environment that makes life not just feel easier, but better. And being intentional with aesthetics (décor, lighting, greenery, materials) and amenities (tech, concierge services, high quality goods) creates a welcoming, home-like space for employees and clients alike. Play with texture, colour, plants, and lighting to create atmosphere and purpose-build rooms for desirable amenities. For example, an exercise studio (complete with free programming), a relaxation room (with an essential oil diffuser, mats, and free hair massages), or simply a staff kitchen with local, high quality coffee, an espresso machine, and a cleaning service (so employees don’t have to worry about mouldy lunches in the fridge). By giving your employees a work experience that enhances their daily lives and well-being, you’re putting your people first. Curious how resimercial design could look for you? Reach out to us for a complimentary design build consultation by filling in the form below.